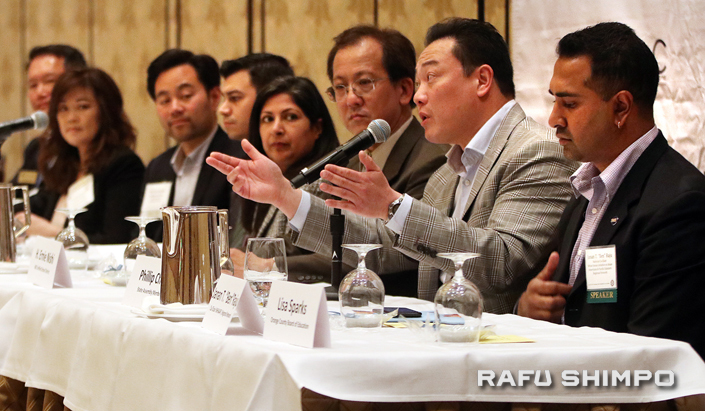 Above: Elected officials from Orange County school districts, the State Assembly and the White House Initiative on Asian Americans and Pacific Islanders participate in a town hall at a statewide conference sponsored by Asians and Pacific Islanders with Disabilities of California. 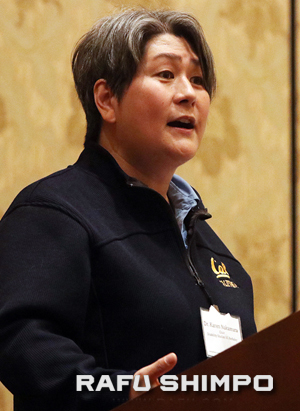 Right: UC Berkeley Disability Studies Professor Karen Nakamura delivered the keynote address at the statewide conference held March 8-9 at the Disney Grand Californian Hotel in Anaheim. Over 500 people from throughout the state participated in the conference to help raise awareness and close delivery gaps for Asians and Pacific Islanders with mental, physical and developmental disabilities. Below: Dancers from Chinese Parents Association for the Disabled performed during a special presentation at the statewide conference.